How cool is this? Pachanga Patterson is hosting their first annual beer contest called, “Just Brew it Astoria.” They’ll invite local homebrewers to showcase their best concoctions in the restaurant’s backyard area with the chance to win a big $500 prize! Attendees will sample each beer and vote for their favorite based on aroma, appearance, taste, and overall impression. 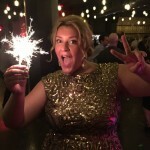 Tickets for attendees cost $40 and will include a sampling of entrees and sides from the restaurant’s menu. The entrance fee for homebrewers is just $25. Think you have what it takes to be Astoria’s best homebrewer? 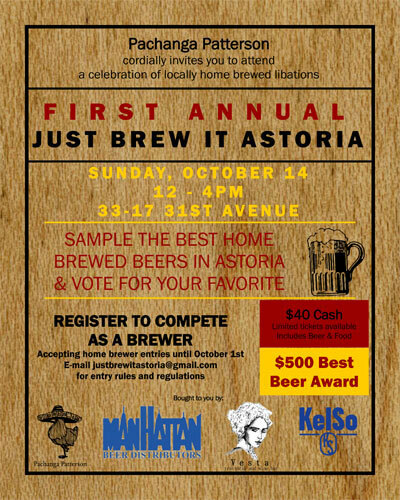 To compete in the contest email justbrewitastoria@gmail.com and include your name, phone number, and a description of the beer you’d like to enter. Good luck, and we can’t wait to try your tasty brews on October 14th!